The automatic retractable sun awning system from V-Technology can be delivered as a fixed system behind a couch or as an awning system which can rotate round your Jacuzzi or sunbed. So it always gives you the desired protection from sun and weather, whatever the position of the sun or the direction of the wind. The awning system has a superior design and is made from high quality components. The color of the fabric can be matched to the yacht’s color scheme. 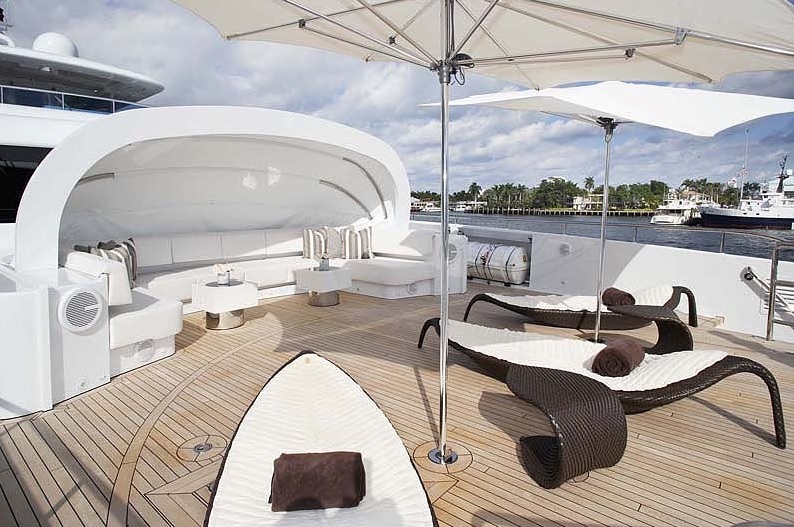 The to withstand the stronger winds on the Sun deck of the yacht.